Do you feel like motivating yourself is a complete drag? Do you avoid going after the things you want because they seem like they’re going to take too much effort? Today, we’re going to learn how to develop an unlimited source of motivating energy like a beacon guiding you toward what you want. Whether it’s building up your confidence, growing your business or finding the love of your life, you have to keep putting yourself out there. What I find, in both my own pursuits and those of my clients, is that the biggest obstacle keeping us from reaching our goals is a lack of motivation. There’s the motivation that’s fueled by the desire to move away from something, and the motivation that’s inspired by the desire to move toward something. 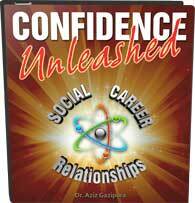 Let’s say you want to develop your confidence and social skills because you are tired of striking out with women. That’s an example of being motivated by moving away from something. In this case, you are being driven by desperation—you want to get away from the pain of rejection. What happens when we’re motivated by desperation (or the desire to move away from something) is that we kick into high gear, we start producing results, things eventually get better and you allow yourself to settle back into the comfort zone. What does a compelling future look like to you? What excites you? What would make you wake up in the morning feeling as though it’s awesome to be alive? This can be anything! Maybe it’s being able to run a marathon; maybe it’s waking up every day next to a wonderful person who loves you; maybe it’s sitting in a corner office at the top of a high rise in a big city. Not only do you need to create that image, but you also need to make it vivid and bright. Pick one area of your life that you’re building your confidence for and think about that for a second. What would be a really exciting thing for you to experience when you think of that one area of your life? Maybe you could even close your eyes for a second and imagine it. Try making a little movie of it playing out. Can you see it? Can you make it vivid and bright in your mind? What would it look like? Can you see the other person’s face? Can you see the money in your bank account? Can you see what you’d be doing with whatever is it that you really want? Once you have it, make it even more vivid and massive in your mind’s eye, then start to add in other details. Can you hear what other people are saying? Can you feel, smell and hear what is going on around you? You want to use all your senses and creativity to create that compelling future because the more you do that, the more compelling you will find this source of motivation to be. 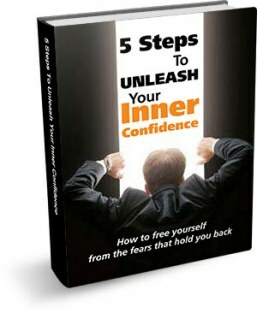 If you want to learn to attack this practice full throttle, break through your obstacles, obliterate your fear of rejection, and move forward faster than you knew was possible, check out my peak performance program, Confidence Unleashed. This program is all about unlocking your peak performance ability so that you can move forward faster in your life. Feel free to “like,” subscribe, and leave your comments below. Tell me all about your compelling future! The more you share it, the more real it will be to you, and the more you’ll be drawn to it. So go ahead and share it with the people in your life who are going to support you, as well so that you can begin to develop your own unlimited source of motivation.